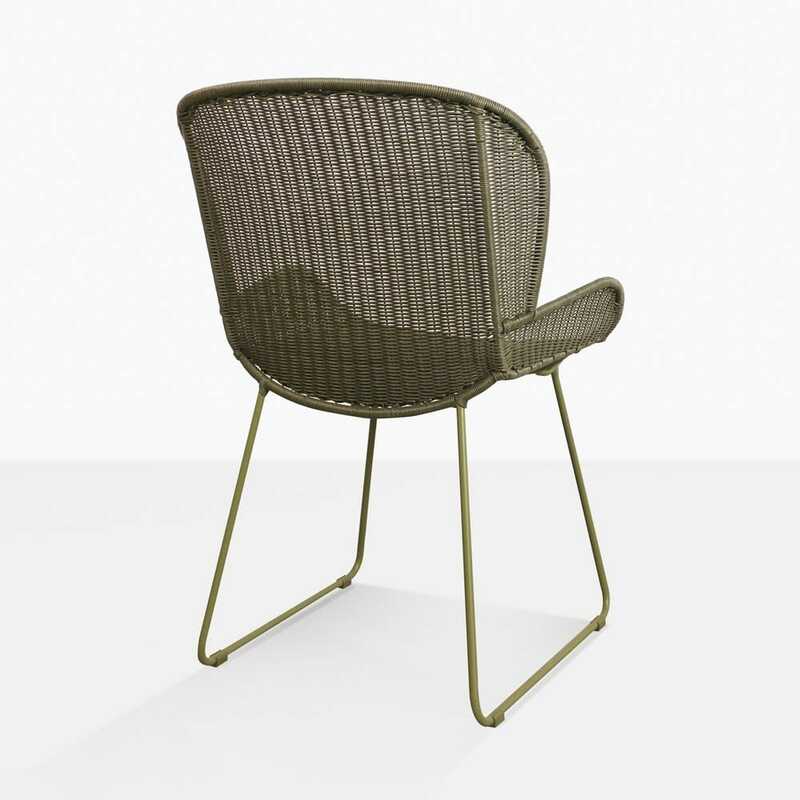 Fall into modern paradise with the tremendous wicker Nairobi Pure Dining Chairs in soft moss colour. A simple chair with contemporary flair, the Nairobi Pure offers up a stunning look with extraordinary materials. 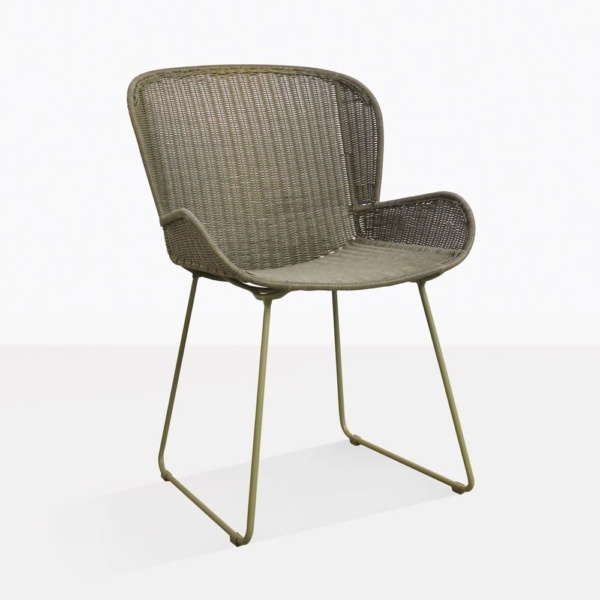 Founded on minimalistic principles, and embracing modern life, the Nairobi Wicker Pure Dining Chair features a rounded back and base that subtly curves up to add unobtrusive arms to this dashing chair. The lengths of wicker wrapping the pieces makes for an airy, fresh, mid century look that creates a joyful vibe wherever it is placed! Our Nairobi Pure Dining Chair is a wonderful choice that adds the luxury of comfort in a fashionable, chic, present day package. Available in both soft green-grey moss and sleek black, the Nairobi Pure Chair gives you options to fine dine or recline in urban style. 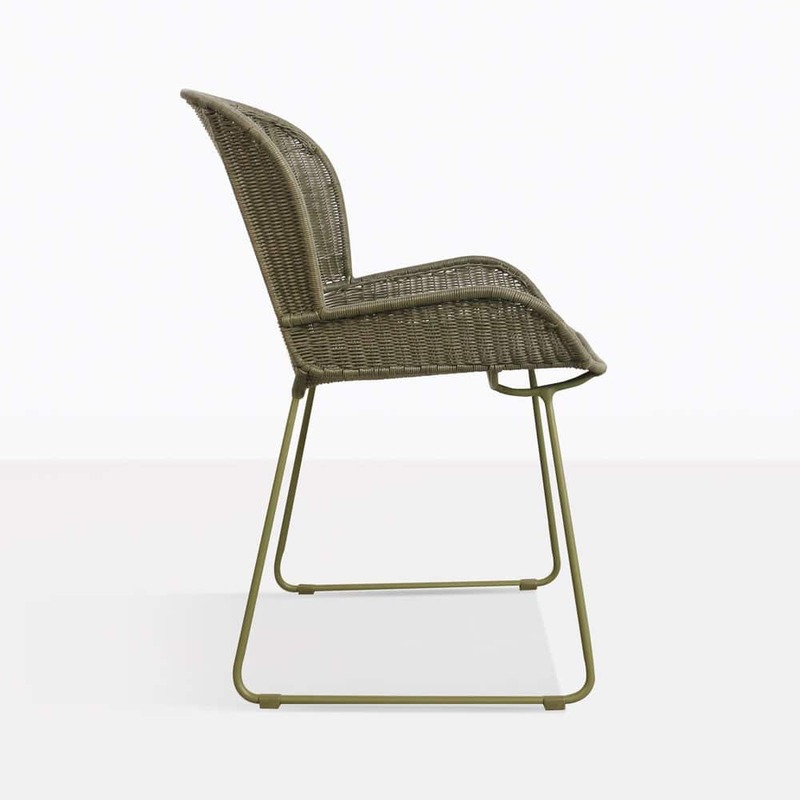 Lift a simple outdoor dining area by placing several of these fabulous chairs around your classic dinner table. You’ll be delighted by the chic and stately look encouraged by Nairobi. Perhaps you’ve curated a calm area fit for two, ideal for intimate dinners with a loved one? A Nairobi Chair on each side of a modest cafe table will allow you both to truly relax and enjoy each others company. The Nairobi Range also includes a fabulous side chair and relaxing chair option, so you can mix and match to your hearts content! Constructed from quality materials, the Nairobi is built on powder coated steel, which is then layered up with UV treated polypropylene wicker…. a look and feel that is amazing, not to mention, robust! At Design Warehouse, we are thrilled to offer an incredible range of outdoor furniture, all designed to withstand outdoor conditions. We have options to suit any style of home, and your personality. 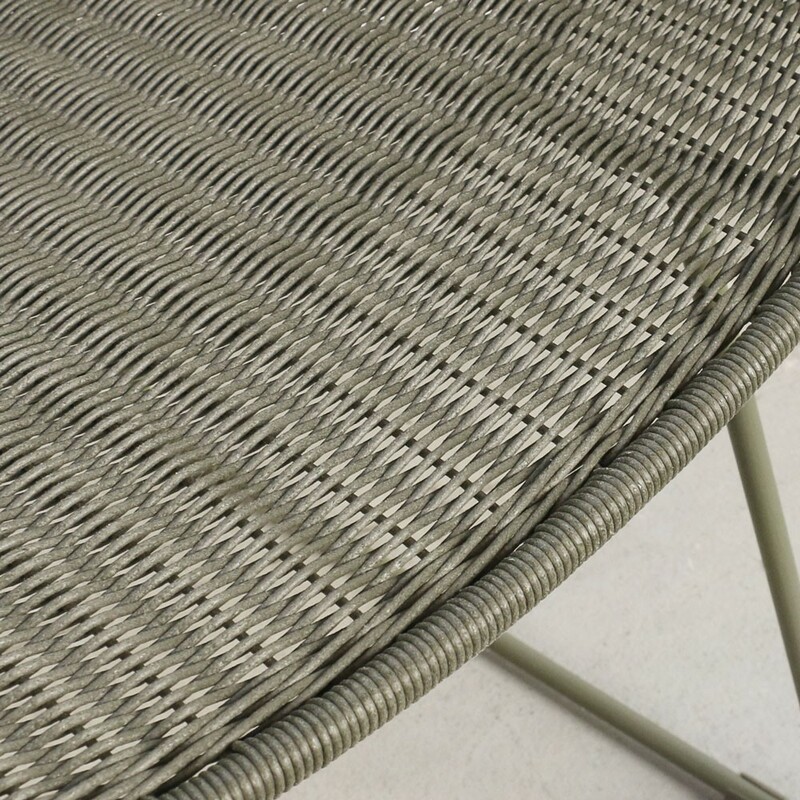 Whether you opt for woven wicker, concrete or teak – we are confident we will have something that suits your tastes. Call today to order your Nairobi Pure Dining Chair in fabulous Moss!